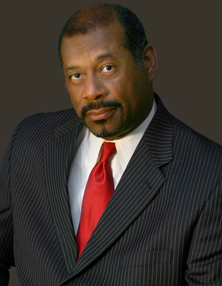 Biography ~ Robert D. Johnson, CEO, Interactive Communications, Inc.
Robert (Bob) D. Johnson has over 30 years experience as an international consultant working with teams in the corporate, government, educational, healthcare, and non-profit sectors. As a member of the Charlotte Speakers Bureau, he specializes in leadership-development programs, workshops, and seminars designed to help people navigate new landscapes of leadership. His work with teams such as the U.S. Air Force Thunderbirds and the Charlotte Fire Department, along his 25 years of corporate experience, specifically qualify Mr. Johnson to help organizations identify and develop the skills needed to succeed in today’s competitive professional environment. Once considered optional, such skills have proven to be critical to successful navigation of the 21st century’s leadership landscape. Mr. Johnson’s patented tools comprise the essential elements of his presentations. They form the basis for the engaging, probing, thought-provoking presentations for which he is known. Most noteworthy is the Black Box™, a premiere tabletop, experiential tool, which has been proven, through extensive research by numerous groups around the world to be effective in indicating collaborative dialogue as a vital problem-solving skill. In his book, “A Touch of Reality”, Mr. Johnson writes extensively on leadership skills and team dynamics. The book takes the reader on a journey through the ranks of several world-class high-performance teams, uncovering the secrets to their success and illustrating the fundamentals of effective team dynamics. As a regular contributor to Lead, a quarterly magazine from Review and Herald Publishing, Inc., Mr. Johnson reiterates these virtues, helping organizations achieve their potential as high-performance teams. Next Move Impact Planning isa scenario-development seminar series designed to guide organizations toward anticipating the results of key decisions before they are implemented. He is also the lead facilitator for the Blumenthal Leadership Institute for Change, a program designed to move leadership and empowerment throughout an organization. Mr. Johnson is also a regular consultant and facilitator for Duke Corporate Education, where he specializes in the delivery of the “On Trial” and “At Court” programs.